“Science and Art of Upbringing”, a book in which a group of 32 Croatian experts offer texts that could help a modern parent navigate through parenting, has just been published. Its authors are psychologists, psychiatrists, social pedagogues, speech therapists, social workers, neuropediatricians, physiatrists, and the lead editor is Gordana Buljan Flander, clinical psychologist and psychotherapist, the director of Child and Youth Protection Center of Zagreb. The book’s content follows the path of parenting from person’s decision to have a child until the end of adolescence. 720 pages are divided into 45 topics in eleven chapters: Foundations of parenting, Developmental topics, Infant care, Child upbringing topics, Child in kindergarten and school, Emotional world of children, Child in relation to others, Everyday life, Our family is changing, Difficulties on the road to growing up and Corner for me. „Science and Art of Upbringing “– why did you choose this title? Where does the art stop and the science begin in child upbringing? Child and youth upbringing truly are both science and art, just as writing this book was. How to pass on all the knowledge from contemporary research and clinical experience to parents in a way that is both accessible and supportive, but at the same time has a clear structure? Knowledge is not enough in itself, nor is love alone enough, as our reviewer Dr. Predrag Zarevski has said on the book launching ceremony. Throughout my career I have never seen a parent who doesn’t love their child or who wants it harm. But I’ve seen many parents who have harmed their child with the best intentions. They didn’t know any better. So, they need this knowledge and science so they can do better. Also, just because someone learns a lot about child upbringing, doesn’t mean he will be a good parent. All of us who work with children know that every child is an individual and has their own peculiarities we should adapt to, be flexible and clever and creative, so we could apply the knowledge we have through the relationship with that child. That part is art. The idea for this book was that it should give the parents the best of both worlds and empower them in their everyday lives in their families. What is good upbringing in this time of great changes? Being a parent is probably harder today then it ever was before. As you just said, this is a time of great changes and parents often wonder if they can keep up. We should remind ourselves that even if some things change, some will stay the same. In this case it’s children’s needs. Children need parents (and/or other adults) in their lives who will provide them with care, attention, nurture and love, with clear boundaries and structure. Children need the adults they will look up to and who will show them how to behave through their own behavior. Finally, children need someone who unconditionally loves and accepts them, no matter what they do. This doesn’t mean that some unwanted behaviors should not have consequences. For example, when a child does something that parents do not approve of, such as playing with hazardous cleaning chemicals, there are many ways parents can react. First and foremost, especially when the child is small, it is good to act preventatively, in other words, to put such products out of reach of children. If the child is already playing with chemicals, parents can gently, physically and with words, move the child away from the chemicals and divert their attention to another acceptable activity. Many parents react rashly in such situation (for example, they physically punish the child), because they are feeling very scared, worried or helpless. These emotions are natural and understandable, but they don’t justify violent behavior towards the child, and even if it stops the child’s behavior short term, it won’t have long term positive effects, neither for the child nor for the child-parent relationship. Children need violence-free upbringing, but that doesn’t mean upbringing without boundaries or parents’ guidance, on the contrary, it’s parents’ duty to lead the child while they are growing up, through examples, boundary setting, rewards, encouraging desirable and discouraging undesirable behaviors. Parents often need help and expert support here and they have a right to ask for it and get it. What are the main, most common problems that are bothering parents today? Modern parents are overwhelmed with various commitments, business and financial situations. They wonder if they are spending enough time with their children. We see the rise in the number of divorces, so they are wondering who will the child live with, how often should the child meet with the other parent, how will it handle the divorce, how will it accept parents’ new partners and similar. Children today are overwhelmed with modern technology and they discover the wonders (and the dangers) of the internet at an early age, so the parents wonder when, how much and how to use modern technologies when raising children. On the other hand, parents are constantly “bombarded” with various instructions, recipes, guidelines on child rearing, care for children, both by professionals and the media, other parents, family members … So, there really are a lot of different issues and topics that show that today’s parenting really is a great challenge. In the book Croatian experts speak from their own experience. 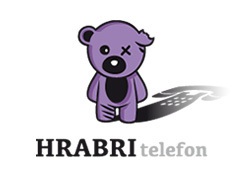 Please tell us some situations and “solutions”, some anecdotes from the everyday life of Croatian parents and children. On subject of contemporary parenting I can describe an example of older parents who have a son in pre-adolescence and they came to us because they were worried about his activity on the internet and on social networks. They said they are “older” generations, not particularly knowledgeable about computers, and feel like they are losing control and authority when their son “connects to a cell phone”. At the same time, they feel that their son is distancing himself, confides with them less, and they are spending less time together. On the other hand, the son says he is bothered by mom and dad behaving as if the internet is evil, and not wanting to try and use modern technology. He would like to send them a photo or a video, but they don’t use apps. He would like to show them how to open a profile on a social network, but they aren’t interested. He also feels like they have grown apart but he attributes it to his parents thinking the stuff he likes is “stupid”. So, through counseling it was discovered that the parents and the child have the same need, which was to reconnect again. The deal was that the son will show his parents how to use a computer, smart phone, internet and the like, while he will respect the rules of using these gadgets that the parents set for him. There is always a way to connect and engage in the life of a child or a young person, but it is necessary to seek and use communication channels which children understand. Children know more about the Internet and modern technologies, but parents know more about life. This doesn’t have to be opposed, but complementary positions. Which age is the most challenging? Many will say it’s the adolescence, but is that true? Every developmental period has its challenges. Adolescence is most often presented as the most challenging time by the public and the media, but the foundations od parent-child relationship are set much earlier. If they have been adequately and positively set, each subsequent phase will be easier. The problem is that the parents often only get worried when there are noticeable signs of behavior or school problems. Then they sometimes want the experts to “fix” the child, but it’s important to understand the reasons why the child is behaving the way it is. How to chase away the monsters from children’s dreams? Nightmares and fears of most children are transitory and no expert intervention is required. However, parents can help a child overcome this period with their support. How to help a child face their fears? It’s alright to be afraid, we are all afraid sometimes. I believe you were frightened, I am sorry that this is difficult for you. I am here and I will help you conquer your fear. What can help you right now? Calm down or I will never take you to the park again. Stop crying, you are not a little baby. Stop it, only little girls get scared. How to make your child hear you without shouting or nervousness? This exercise relaxes the body and that makes it easier to start a conversation with the child. Try to slowly count to ten together. This exercise distracts and calms the child. Is my child addicted to new technologies? How to support the child in choosing activities? When deciding about involving the child in sport take their wishes and needs into account and choose the type and the intensity of the activity accordingly. You should keep track and allow them to express their dissatisfaction and give up on activity or at some point decide to do it professionally. "Interactive training for community nurses in the health care system focused on vulnerable groups of patients", organised by the Croatian Nursing Association, was held in the Child and Youth Protection Centre of Zagreb, on 19 December 2016. Many community nurses from Zagreb and other parts of Croatia participated in this training. The Child and Youth Protection Center of Zagreb cooperates with the Slovenian Family Institute of Bližina for many years now. 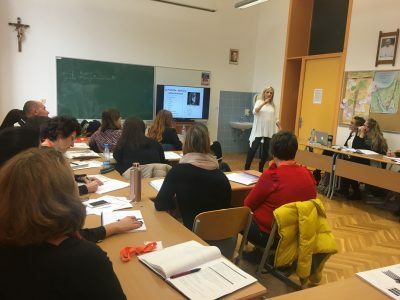 This institute, in co-operation with Association of Marital and Family Therapists of Slovenia, organized the professional training by our director Prof. Sc. 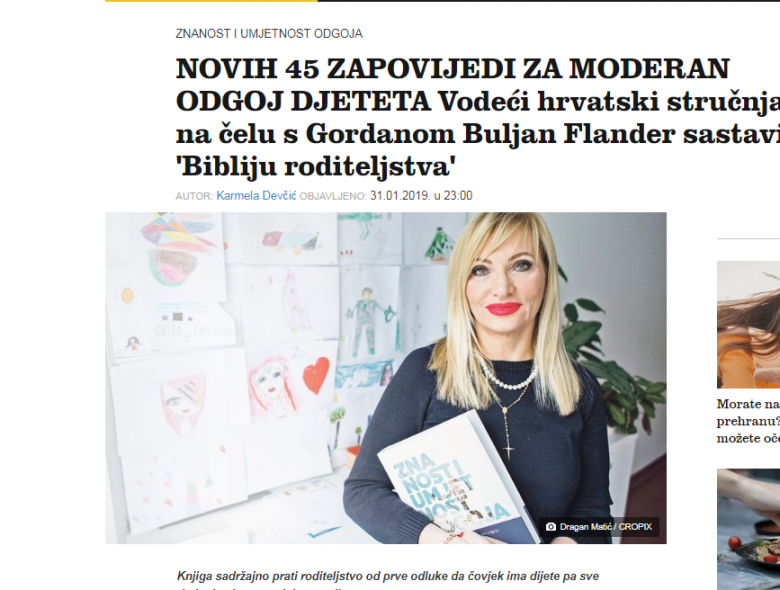 D. Gordana Buljan Flander, which was held at the Faculty of Theology at the University of Ljubljana last weekend, 30th November and 1st December 2018. Several professionals from the Center participated in two-day education 'Moaiku — Somatic Trauma Workshop', which was held in September 2009 in London by Merete Holm Brantbjerg. Workshop 'Trauma, safety and boundaries – Ressource oriented skill training in trauma work' was designed to support both therapists who work with traumatised individuals and clients.